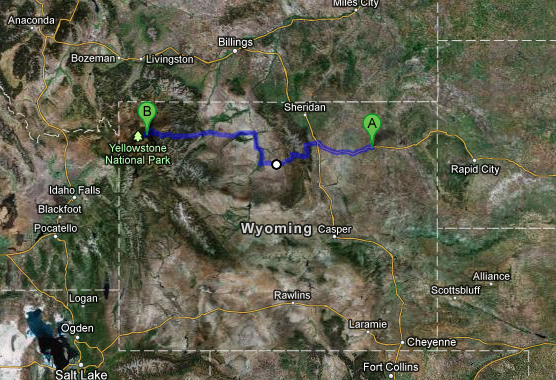 The drive across Wyoming deserves its own post – what a varied country! From outside of Gillette we could see the Rockies in the distance approaching. As someone whose experience with mountains rarely sees them snow covered in summer, I was enchanted and even made Jeff pull off the road once or twice to take pictures. 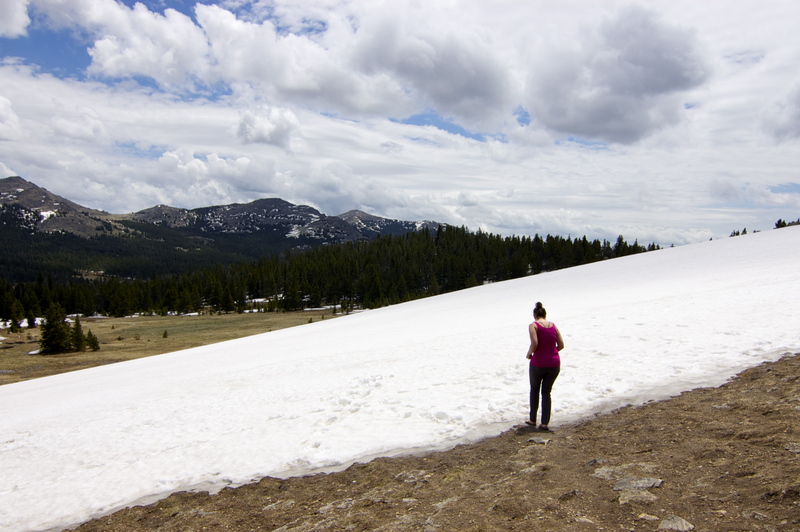 We crawled up through Powder River Pass (elevation 9666 ft) and found snow! 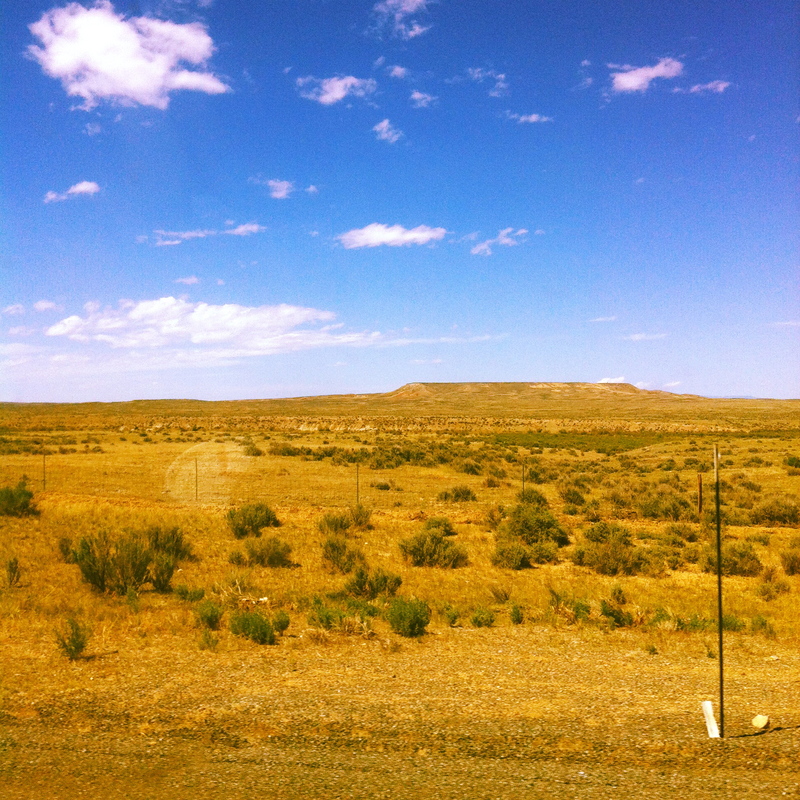 A very dry and stark contrast to the lush green we had just traveled through. 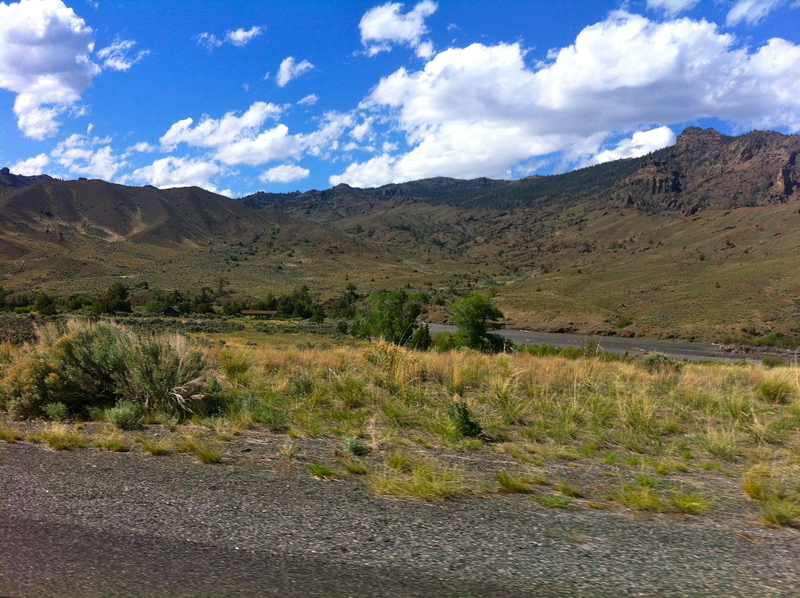 We reached Cody, WY – home of the rodeo, but didn’t stop to see a show because we still had another hour and a half of driving through Buffalo Bill State Park to get to the Eastern entrance to Yellowstone. The entrance to the State Park features a huge dam built in 1905 that has created a huge lake in the mountains. 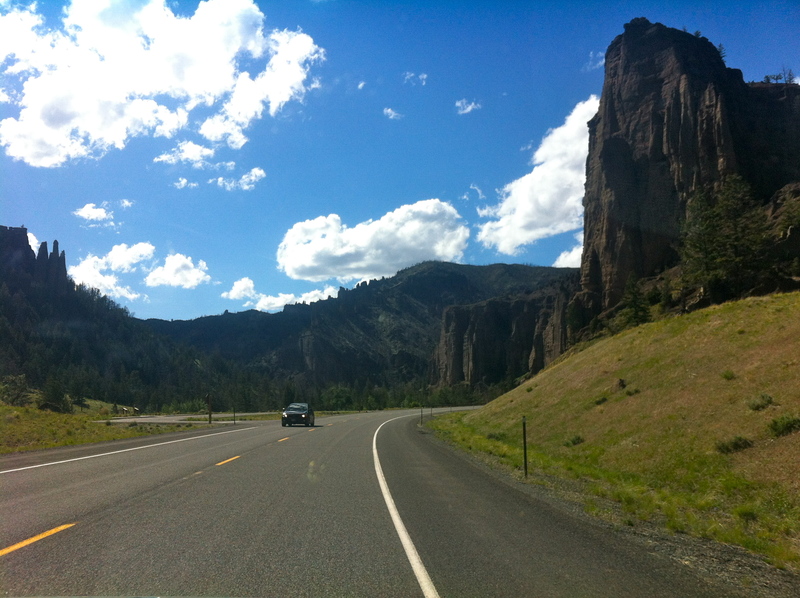 That and the large rock faces along the road made for a very scenic drive into Yellowstone. In the tiny enclave of Wapiti I got pulled over for speeding where the limit had dropped down from 65 to 45 for a brief stretch. The officer was really kind when we explained we were moving across the country and not only didn’t give me a ticket, but wished us a good trip in Yellowstone! Whew! Sorry this has been mostly pictures of landscapes, but it serves as justification why you should try to drive across the country at least once in your life. 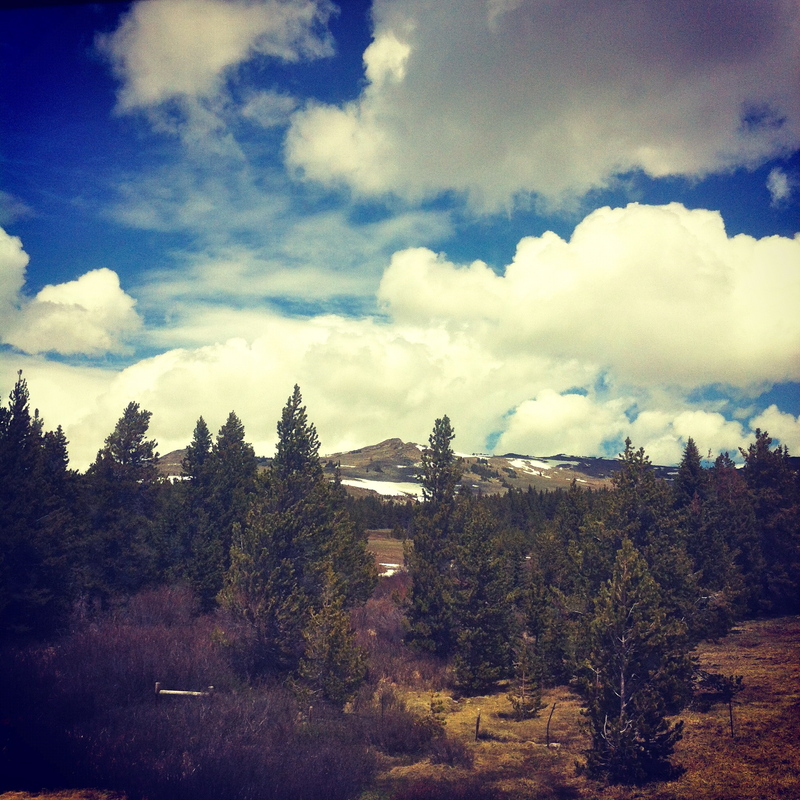 This beautiful land is so diverse, even within one state!